equal pay day: what does it mean? Posted on April 20, 2015 by Sarah S.
April 14th is Equal Pay Day. I’m a few days late to the game, but this issue is too important to pass up. A not-so-fun fact: April 14th was chosen as Equal Pay Day because it represents how far into 2015 that women must work to to earn as much as men did in 2014. That’s 104 days, folks. In case you missed it, here it is again: women have to work 469 days to earn the same amount of income men make in 365 days. In other words, women only make 78 cents to every dollar men make. And women of color make even less. And one more time to really drive it home: Over her career lifetime, a woman will make on average nearly a half a million dollars less than her male counterparts. A half a million dollars less. 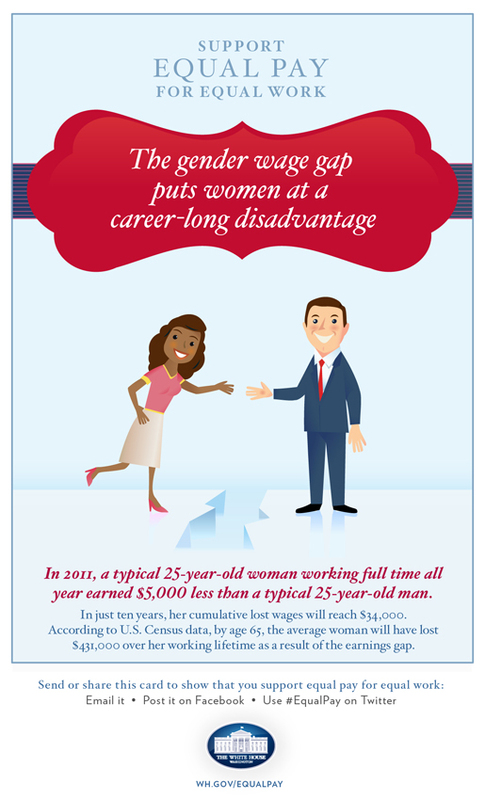 Learn more about the gender wage gap here. Now that you know, spread the word! This post is #15 of the #The100DayProject. For more updates on my progress, be sure to follow me on Instagram and look for the hashtage, #100DaysofMiaPrima.